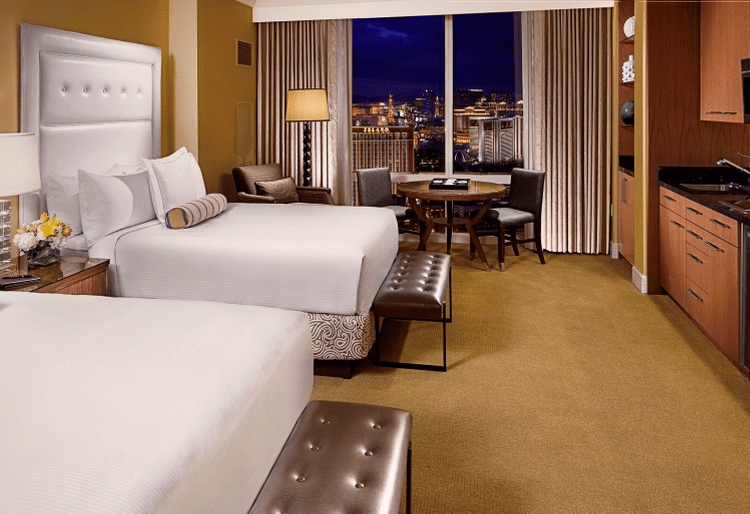 One of the best family & kid friendly hotels in Las Vegas for family holidays. 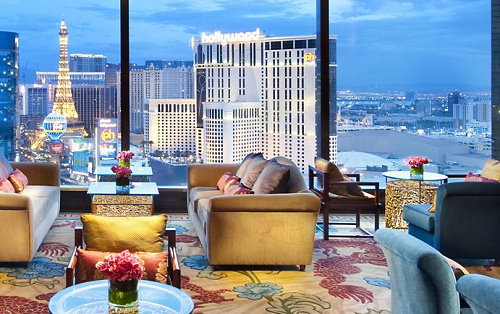 The Hotel is brilliantly positioned on the legendary Las Vegas Boulevard and guest rooms offer breathtaking views. Great facilities such as: dedicated Concierge, resort-style pool, and luxurious spa and fitness centre, business services and so much more. For family vacations: child-friendly activities, baby and children’s toiletries, Children’s menus in the restaurants and for In-Room Dining, Basket of essentials for infants, Items to childproof guest rooms, high chairs and playpens, Cribs and/or rollaway bed(s), reliable babysitting services, Board games and much more. 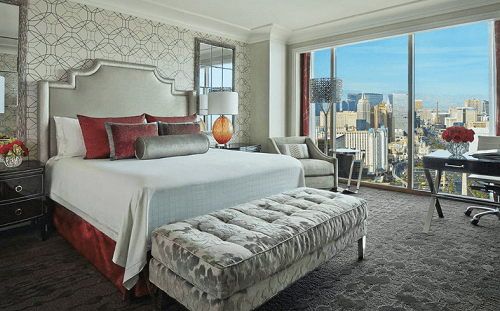 The Trump International Las Vegas is a sophisticated, non-smoking and non-gaming, luxury hotel situated high above The Strip, steps away from the best of Las Vegas shopping, and considered as one family & kid friendly hotels in Las Vegas. Some of amenities are: 24-hour concierge service, valet parking, swimming pool, award-winning spa, salon and fitness center, State-of-the-Art Business Center, World-class dining at DJT Restaurant and Bar (lobby-level), 24-hour private In-Suite Dining and more. Kid-friendly amenities for great family holidays & vacations: like kiddie cocktails, coloring books, no-tear bath amenities, smoke-free environment, no casino within the hotel, Children’s menu and pricing, Cribs, Board games, In-suite children’s movie channel and much more. Circus Circus provides a fun-filled, all-ages Las Vegas adventure at an affordable price. Home to appealing restaurants, eye-catching shops, thrilling casino action, exciting Midway games, the world’s greatest circus acts and The Adventuredome, Circus Circus guarantees good fun for unforgettable family holidays in Las Vegas. The hotel’s guest rooms and suites provide comfortable, affordable accommodations with easy access to all the excitement the city has to offer. The Adventuredome at Circus Circus is America’s largest indoor theme park and has many attractions suitable for younger children including a traditional carousel, bumper cars, clown shows and arcade games. One of the greatest kid friendly hotels in Las Vegas for fun family holidays & vacations. A magnificent urban resort at the heart of Las Vegas Strip, the hotel is surrounded by the city’s best-loved sights and attractions. Rooms and suites are wonderfully comfortable with a sleek décor incorporating subtle Asian-inspired touches. Some of the amenities are: great restaurants with exhilarating views, spacious spa offers a variety of pampering treatments, fully equipped Business Centre, meeting rooms, pool, poolside cabanas. Kid facilities: children’s sized bathrobes, Upon request we can also provide cribs, bath toys, strollers, playpens and a selection of child-friendly DVDs, children menu, babysitting service and more. One of the greatest family & kid friendly hotels in Las Vegas. 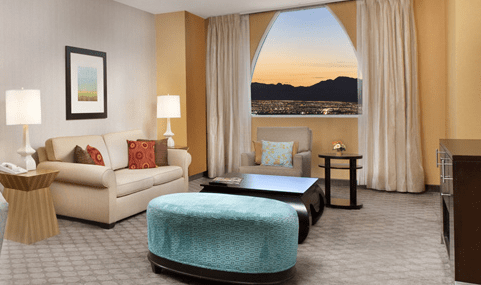 Situated at the north end of the Strip, this Las Vegas hotel offers a non-gaming, family refuge in the 24-hour city, with the comforts of home in the heart of Vegas. Within 15 minutes of McCarran International Airport(LAS). 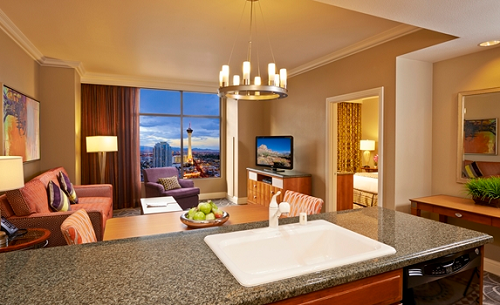 Elegant non-gaming resort hotel situated right on the Las Vegas Strip. All the conveniences of home in spacious studios, and one and two-bedroom suites. Contemporary fitness center, heated outdoor pool and full service Concierge Team. Therapies and pampering at eforea spa. Business Center, Meeting Rooms, Room Service, Safety Deposit Box and child facilities & services. One of the greatest kid friendly hotels in Las Vegas for family holidays & vacations.